Learning more about German surname meanings can add a new dimension to your genealogical research. It's hard to imagine today, but at one point surnames were completely unnecessary. German communities were so small that everyone could easily identify their neighbors by a first name alone. It was not until the late Middle Ages that people began to use surnames. In Germany, as in many other countries, the frequency of the use of surnames varied by religious affiliation. In 1593, the Council of Trent declared that Catholic parishes needed to keep complete baptism records that included surnames. Protestant churches soon adopted this practice, which lead to greater information for genealogists looking for surname histories. The Jewish community adopted surnames at a comparatively late date. Officially, Jews in Germany were not required to have surnames until after 1808. German surnames, also known as family names or Nachnamen, were often taken from occupations. People were extremely proud of their professions, whether they were bakers, carpenters, or members of the clergy. Other sources of surnames in Germany included physical characters of people, notable personality traits, and information about where a person lived. Many surnames common used in the United States today have Germanic origins. For example, most surnames with the "sch" sound in them can be traced back to German ancestry. Vowel combinations such as "oe," "ie," and "ei" are also good clues that a surname is German. The preposition "von" in a surname often indicates nobility. Wikipedia has a long list of famous Germans covering people from fields such as arts, science, literature, politics, and education. As part of your genealogy research, you may want to check this list to see if you share a surname with anyone famous. 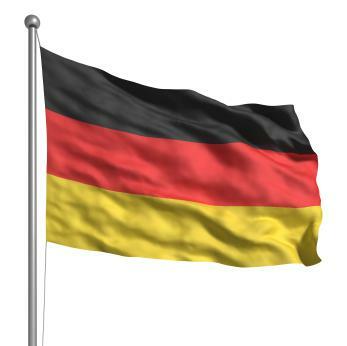 If you are interested in German genealogy, review the LoveToKnow articles German Immigration to the US and German Immigration Records for tips on developing your family tree.